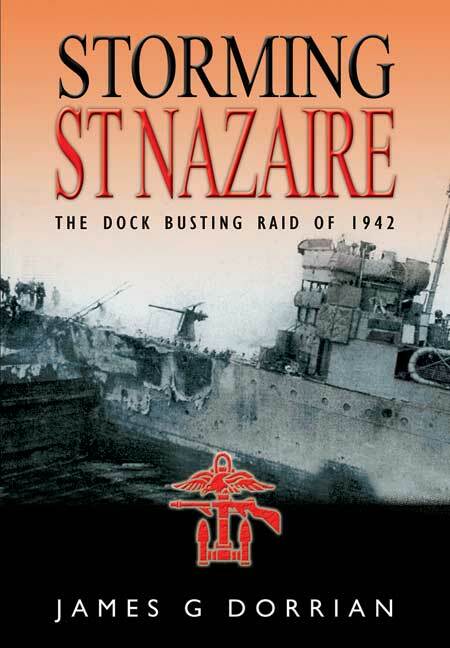 You'll be £14.95 closer to your next £10.00 credit when you purchase Storming St Nazaire. What's this? The year 1942 opened on the note of virtually unrelieved gloom. Things were already bad enough in Europe; then in February, came the fall of Singapore and few had the foresight or optimism to share Prime Minister Churchill's view that ultimate victory was inevitable from the moment the Americans entered the war. Perhaps the greatest threat to British survival lay in the North Atlantic where shipping losses had reached crisis point, and the most formidable manifestation of that threat was the might German battleship Tirpitz, at the time sheltering in Norwegian waters. Her vast size ordained that nowhere on the Atlantic seaboard could she put in for refit or repair except the 'Normandie' dock at St Nazaire. Destroy that and the Tirpitz would be neutralized.That was the thinking behind Operation Chariot, as the plan to blow up the dock was codenamed. James Dorrian has chosen to see this extraordinary exploit not through the eyes of the brasshats and the politicians but through those of the men who took part in it, particularly those whose fate it was to carry out the orders rather than give them. This lends his narrative an immediacy that bare recitation of the facts could not convey and it is no exaggeration to say that the action comes almost painfully to life in his hands. How it all turned out the reader must discover. Suffice it here to say that it resulted in the award of no less than five Victoria Crosses.